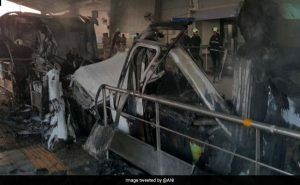 Mumbai’s monorail services were stopped for hours after two coaches caught fire in the early hours of Thursday morning. A fire gutted two coaches of a monorail train here early on Thursday, leading to the suspension of all services. But there were no casualties, an official said.